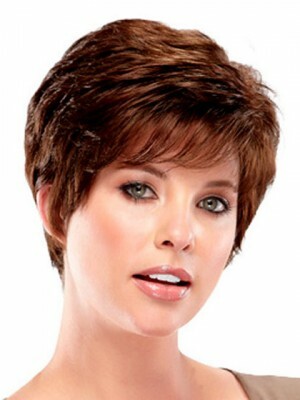 Great wig, natural looking. I was able to play with it and move the side part from side to middle. Looks even better with a headband or hat on. And it feels nice & soft and just the right amount of hair - not too thick where it looks fake. Great wig for the price!! I own 3 and this is one of my faves. I was just like to express heartfelt thanks to you for my new wig. It arrived this afternoon and I was very fond of it. To my delight, it showed me an instant change.